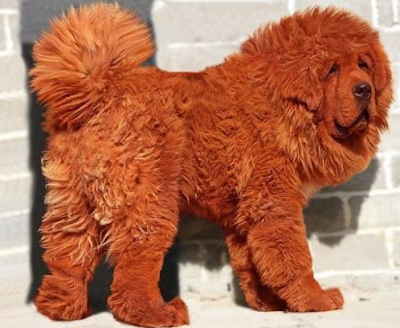 With its flaming red fur and cute eyes, the Red Tibetan Mastiff dog has become the ‘most expensive dog in the world’, when one of these rare dogs was recently sold for the record price of $1.6 million. The Red Tibetan Mastiff is also known as Do-khyi, locally. It is an ancient dog breed, and a type of domestic dog, which has its origins with certain nomadic cultures of Central Asia. The 11-month-old Red Tibetan Mastiff puppy was purchased for $1.6 million, by an unnamed buyer, making it the most expensive dog in the world. This rare puppy is about three feet tall and weighs over 180 pounds. Are you a dog lover? Would you like to own one of these huggably cute, but rather expensive, puppies?